Hello again! I rarely post twice in one day but I was able to steal away some play time during naptime. 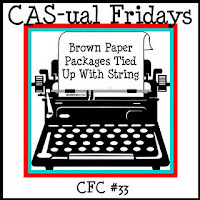 I wanted to create a card for this weeks CAS-ual Friday challenge which involved two of my favorite things, kraft card stock, and twine! 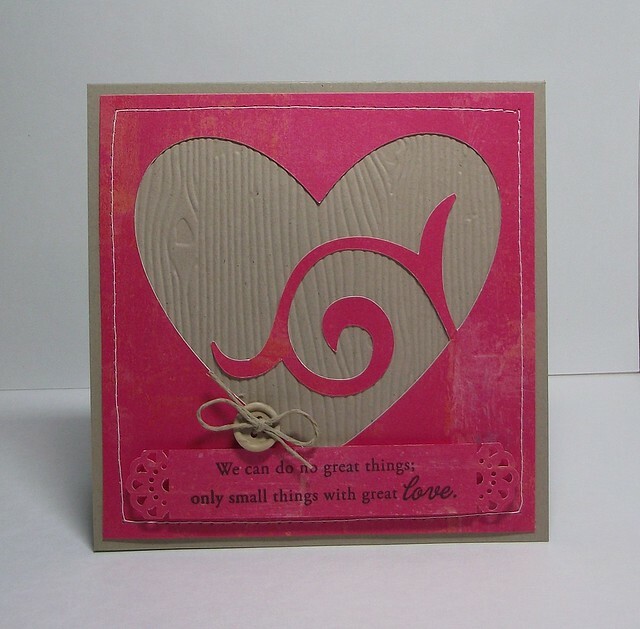 To create my simple card I used another cutting file from Lettering Delights. I just love the beautiful heart and swirl. I knew I wanted to use kraft as the background as soon as I cut it out. And then I thought I would add a little something by embossing my kraft card stock using my woodgrain folder by Hobby Lobby's brand Paper Studio. The sentiment is from PTI's "Heart Print Sentiments" collection and I used the EK Success Abstract Circles edger punch on each end of my sentiment label. I love the way it turned out! I hope you have a wonderful day and thank you for visiting my blog today!